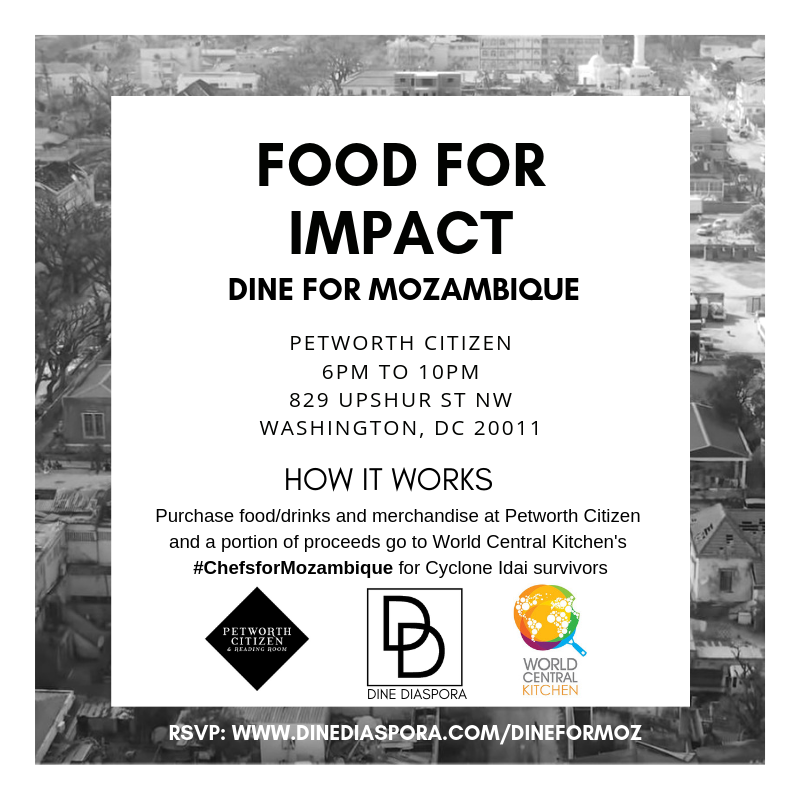 We are joining forces with Petworth Citizen and World Central Kitchen (WCK) for an evening of impact through food. Join us in raising funds for survivors of Cyclone Idai in Beira, Mozambique. Eat, drink, or buy merchandise and 15% of proceeds will go directly to WCK's #ChefsforMozambique - a relief team supporting and empowering the local community on its long road to recovery. The evening will also include live jazz music and impact stories from the Mozambican Diaspora.